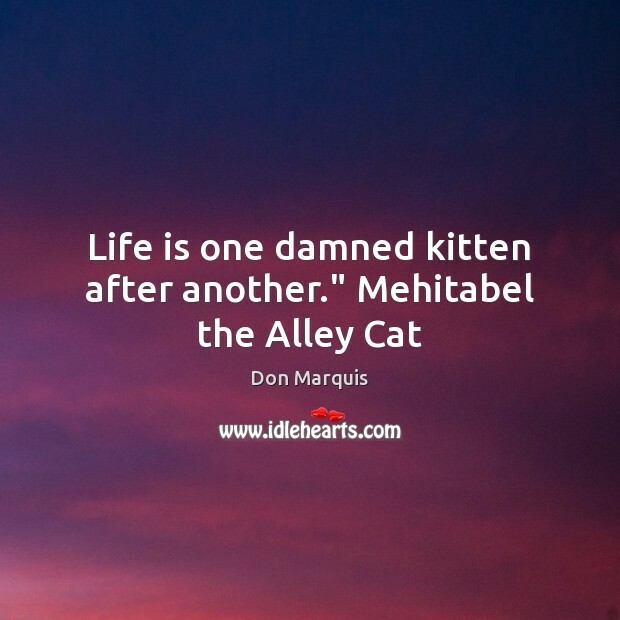 Quotations about Alley Cats. Quotes to stimulate mind and drive action! Use the words and quote images to feed your brain inspiring things daily! 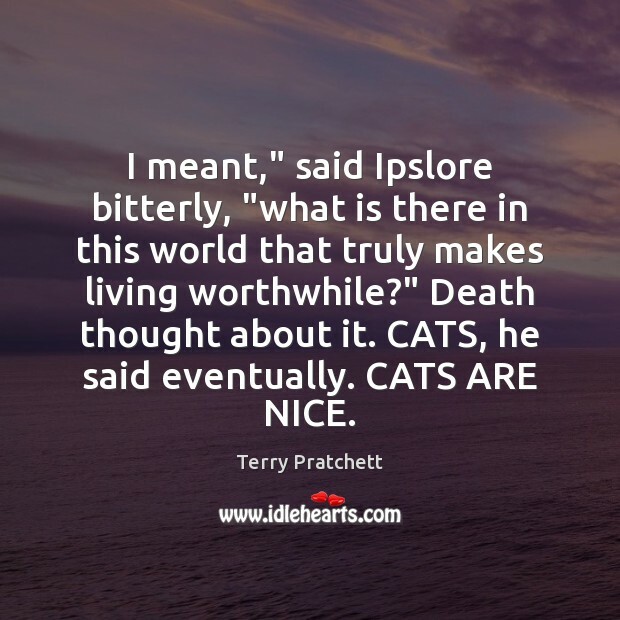 I meant," said Ipslore bitterly, "what is there in this world that truly makes living worthwhile?" Death thought about it. CATS, he said eventually. CATS ARE NICE. 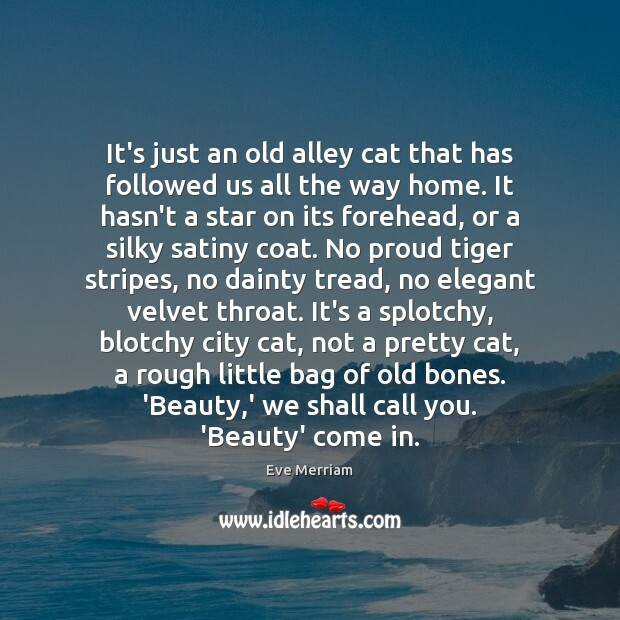 It's just an old alley cat that has followed us all the way home. It hasn't a star on its forehead, or a silky satiny coat. No proud tiger stripes, no dainty tread, no elegant velvet throat. 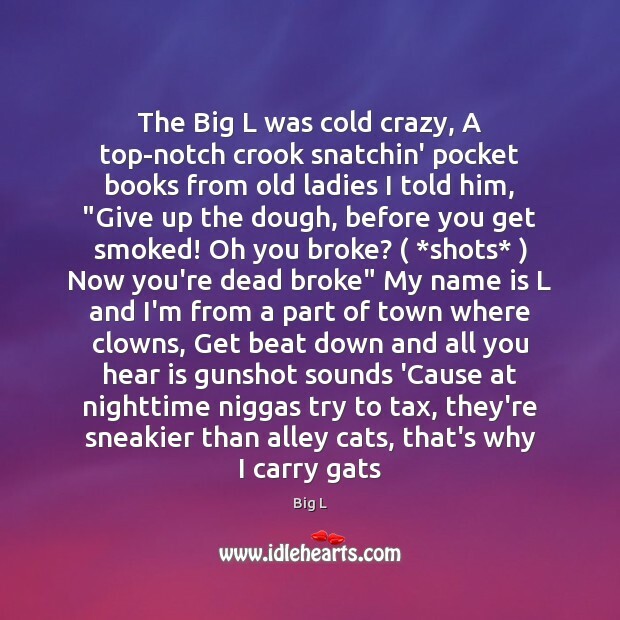 It's a splotchy, blotchy city cat, not a pretty cat, a rough little bag of old bones. 'Beauty,' we shall call you. 'Beauty' come in. 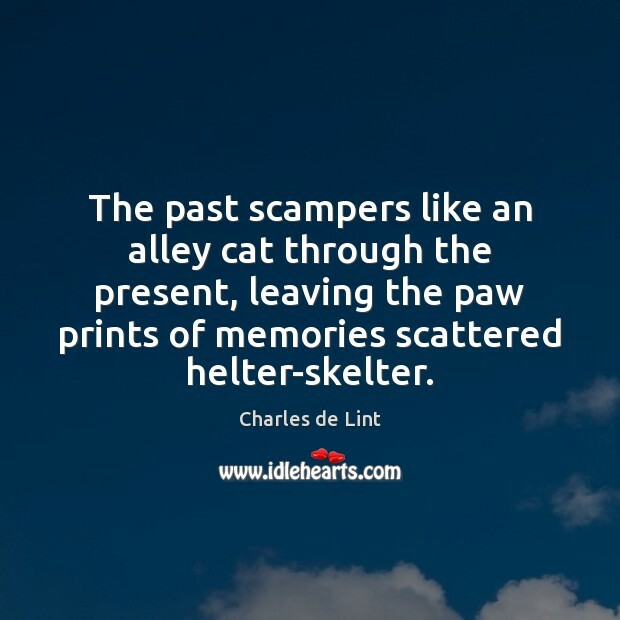 The past scampers like an alley cat through the present, leaving the paw prints of memories scattered helter-skelter.